Comments: Shock troopers are elite members of the clone army. Under Palpatine's new regime, they are assigned as escorts and bodyguards to the Emperor. 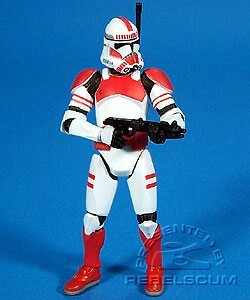 Shock Trooper is a repack of the figure from 2006's TSC Skirmish in the Senate battle pack.